It is human nature to look for order in the midst of chaos and to try and maintain a semblance of clam and organization in all things. within the field of science this often comes in the form of classification- the science of naming and grouping thing based on their features, function, location, and any number of other criteria. It is one of the principles of science that makes research much easier. In this well designed and highly educational program, you will be able to explore the ins and outs of the scientific classification system. This founding idea of science was first proposed long ago by one of the first true scientists, Linnaeus. You will explore the early work of Linnaeus and see how his fledgling theory developed into one of the most important theories in modern science.Discover the art and science behind names and see how new scientific names are chosen, created, updated, a,d altered- all based on the newest finding in science and research. This education DVD program touches on all of the five kingdoms and the most common of their subdivisions, as well as exploring how something is examined and placed into the right classification category. 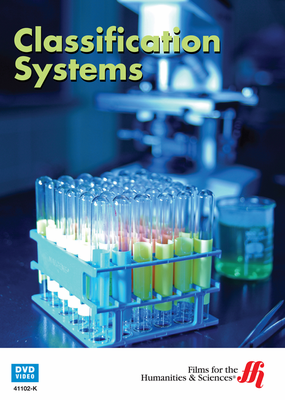 Discover the amazing world of classification and see how it bring order to the world of biological science.